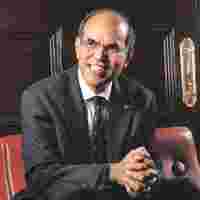 New Delhi: Reserve Bank of India (RBI) governor D. Subbarao, who signalled the central bank’s exit from a loose monetary regime on Tuesday, said RBI would act sooner than its counterparts in advanced nations when it comes to tightening policy. You are the first Asian central bank to signal a reversal of policy. But why did you start with a hike in SLR (banks’ investment in bonds)? Was it to please the government and to ensure its borrowing programme is smooth? Not at all. Pleasing the government was not at all a consideration in raising the SLR. What we said was that the first phase of the exit is to reverse the unconventional measures and the first set of measures we took towards liquidity management. If you recall, adjusting the SLR was in the first batch of measures we took (after the collapse of Lehman Brothers Holdings Inc. in mid-September 2008.) Pleasing the government is not on the agenda and not on the radar screen because 80% of the government’s borrowing programme is done. Besides, banks are holding 27.6% SLR. So, it wasn’t to accommodate government borrowing programme, but a measure in getting back to the normal stance. Was raising the SLR not a retrograde step, given that you are committed to reducing the SLR? The long-term objective of reducing SLR stands. I cannot at this time say when we will do it, but there is a view that SLR at 25% or 24% is high. As much as other countries are talking about prudential norms or some SLR-like instrument, they certainly are not talking about 24% or 25%. We need to bring it down and we stand by that commitment. But 24%, 25% is not linked to the reform objective. It is linked to the reverting to the normal stance. to the pre-crisis position. So, it’s a signal of reversal of stance. I would think so. Yes, it is a signal about reverting to the pre-crisis levels. There is a dramatic shift in your policy stance. Growth has become the third priority after managing inflation and financial stability. Are you confident that the economy is on a firm growth path? We have to juggle between the three objectives of price stability, financial stability and growth. At the moment, our balance of judgement was that even as inflation is a concern, growth is fragile. Tightening at this time may not do much in terms of reining in inflation, but may hurt the growth process. Therefore, we refrained, for the time being, from raising policy rates or raising the CRR (the portion of deposits that banks need to keep with RBI). It terms of the hierarchy of objectives, yes, price stability is a concern at this time—and we wanted to signal that we are vigilant on the price front. When will you go beyond signals and get into action? I wish I could put a time frame on that. Not that I don’t want to tell you but because I don’t know myself. But as I have said before, it is going to be months and not years and it is going to be sooner than most advanced countries because inflation is a bigger concern for us. In fact, most advanced countries are just about recovering from the threat of deflation. Some governors I have talked to, they say “we hope we have your situation". I think we need to exit before other countries, but I can’t put a time frame to that. You do not need a policy platform to act (on revising rates). Right? It can happen any time. Yes, that has been the case. You have shown an inclination to act on liquidity before moving to revise policy rates. Will you follow the same sequencing in future? Some people have suggested to me—people who know monetary policy better than I do—that that might be the logical sequence to go. But it is not clear at this time that that is necessarily the sequence which we will follow. But that seems to be the lesson of experience and the logical thing to do—first to mop up liquidity and then attack rates. Paring rates was also part of your measures. But when you are talking about reversal of measures, you don’t seem be focusing on rates, at least at this point. Well, it’s not as if it’s LIFO-FIFO (last in first out; first in, first out)—you don’t need to follow that logic exactly. But certainly there is an economic logic to the order of reversing and no, I am not in a position at this moment to say that we will conform to that sequencing, but that is what we have been advised. Advised by the (finance) ministry? No, no. Advised by people in the RBI. I have a whole army (of advisers) here who are extremely competent. It seems that we are on a reasonably firm path of growth. Do you see any asset bubbles building, or even incipient signs of asset bubbles? I wouldn’t say we are having asset bubbles; the issue is that there is a lot of liquidity in the system and we are vulnerable to asset price bubbles. Not that we have them at the moment. But you have raised the provisions for loans to commercial estates. On provisioning tightening on real estate (loans), that has been informed by what banks have told us and by our own intelligence. First of all, the total non-food credit that goes to the real estate sector is only about 3.7% of the total, relatively small. Two considerations prompted us in tightening provisions. First, the pace of expansion of credit to the real estate sector is among the highest. Second, in the restructuring that banks have done, the restructured assets to total assets at the aggregate level is about 4% or 4.5%; it is 14.5% for the real estate sector, so it’s under great stress. When you took over in September 2008, there was coordinated action between the Reserve Bank and the finance ministry. But now we are seeing differences. I think in a democratic, open system such as ours, plurality of opinion is part of the game. And differences of opinion between the central bank and the government are not only inevitable, I think they are also value-added. Because the government represents a constituency—public opinion—and the Reserve Bank represents the long-term view, and policies, both fiscal and monetary, would have to be evolved both out of this divergence of views and some times disagreements. I think that difference of opinion has served this country well and I am sure it will continue to serve the country well. Coordination was easy at times of crisis. What will be the scene at a time of relative comfort? In peace time, there certainly is both time and scope for disagreement and... managing disagreements. As I keep saying, I think Reserve Bank as an institution and I personally as the governor will be put to a stricter test in peacetime than in wartime. And when it comes to taking action, you will stick to your guns? I will try my best. Not my guns, but the collective judgement of the Reserve Bank institution.